Ancient Egypt, a civilization that resisted the course of thousands of years of history. A people that revolutionized the march of humanity with its great discoveries. Thousand of years ago, the Greeks and Romans examined the mystery of the pyramids. Still today, the magical charm and secrets of this people stay in tacked. 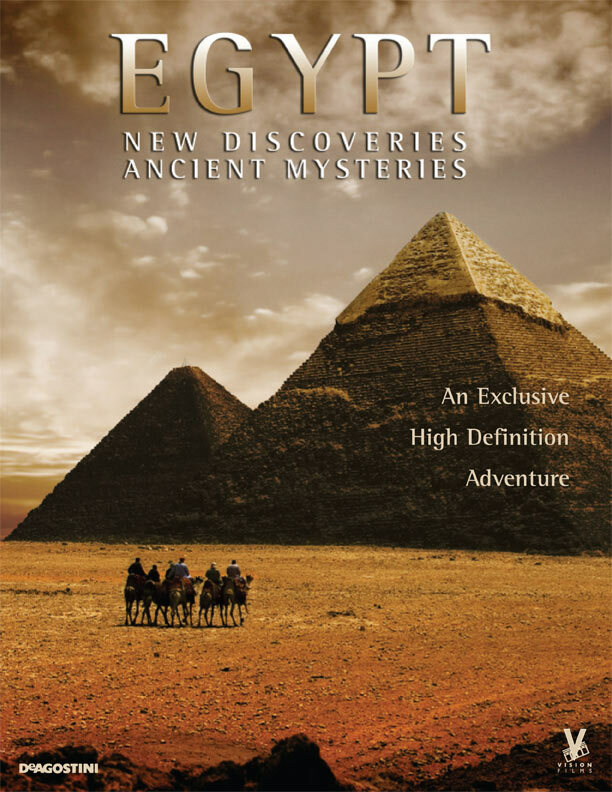 Exclusively for us, Zahi Hawass, the world’s most famous archeologist, will reveal the astounding discoveries of the Egyptian civilization. Along with him, we will visit sites that have never been shown before. We will go into excavations that have not yet been completed. We will penetrate unexplored tunnels and underground passages. A fascinating journey inside the most amazing monuments ever built by man. What lies still undiscovered under the sands of the Egyptian desert? What mysteries are hidden in The Valley of The Kings? Who were the Egyptians really? What did they believe in? What was life like 3,000 years ago? Since the ninetieth century, archeology has revealed precious information about Egypt, but there are still many tombs to be found. Tombs that could help us understand where legend ends and history begins. The construction of the pyramids, the meaning of the hieroglyphs, the curse of the pharaohs, the scientific knowledge of the cult of the dead, the artifacts. Thousands of years later Egypt continues to hold some of the most important mysteries of our civilization. Zahi Hawass leads us though a fascinating journey full of discoveries, a trial to the dawn of humanity, where everything began, and anything can still happen.